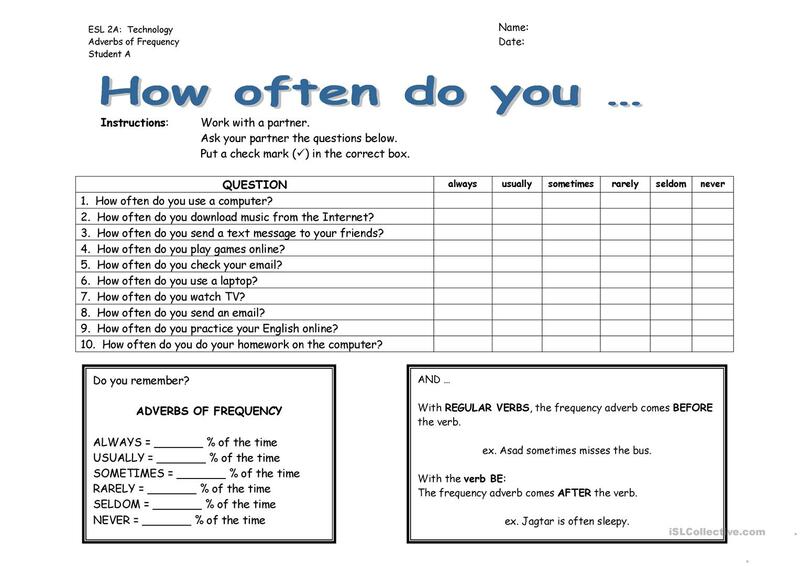 Oral practice with adverbs of frequency with technology theme. 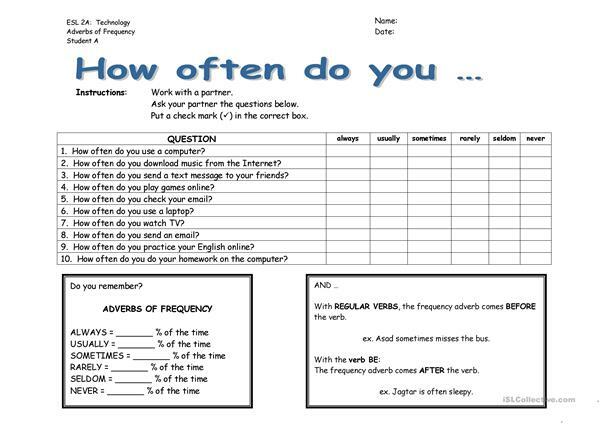 This printable, downloadable handout is intended for high school students and adults at Pre-intermediate (A2) level. It is a useful material for practising Adverbs in English, and is excellent for enhancing your learners' Listening and Speaking skills. It centers around the vocabulary topic of Daily routines. LizF is from/lives in Canada and has been a member of iSLCollective since 2011-03-02 04:49:38. LizF last logged in on 2016-11-21 23:40:23, and has shared 2 resources on iSLCollective so far.